Do your books whisper secrets? I've been volunteering at my town's public library this summer. It's been a great experience and it's given me a lot of insight into the workings of one of my favorite places (basically it involves moving books around to different locations for different reasons). One of the most interesting things is seeing what books people are checking out and requesting. You can learn a lot about people from their books. Whether they have children. What their interests are. For example, one person requested three or four books on United States war history. Another, books on dealing with divorce. Another, a collection of picture books. I wouldn't recognize these people on the street. All I know is their books and the first few letters of their last name. Still, this little window into their world through the medium of books feels powerful. I also shelve books when they come back in. Sometimes I recognize them. I'll see a book I placed on hold for someone a couple days ago, and I know the person didn't like it. Either that, or they loved it so much they read it all in a day or two. I can't know for sure, but I can imagine. Some books are checked out again and again. Romances are particularly popular. Others are never checked out. When a book hasn't been borrowed in several years, the library collects them, and sells them in a book sale. People don't care about nuclear reactors. I guess what I'm trying to say is that books are powerful, and when one works closely with them, they whisper secrets about the workings of society and the lives of those who read them. You could learn a lot about me from the books I read. Animal Farm, Ender's Game, Harry Potter, Watership Down, the Hunger Games, Anthem, The Andromeda Strain, The Cosmic Landscape, A Brief History of Time, An Introduction to Visual Basic Programming, the Inheritance Cycle, Brave New World, Into the Wild. Do you see some themes? Physics, Dystopian Futures, Fantasy. Sure, there are some outliers. But I'm a person. I'm complicated. Still, the books I read provide an insight into my mind. What about you? Do your books whisper secrets? 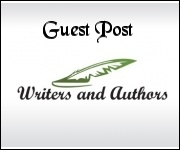 Thank you for putting my guest post on Writers and Authors. I love this blog and its great to be a part of it. It's a pleasure to have you here Jake. I really enjoyed your post and totally agree with you. All the best with your writing projects.